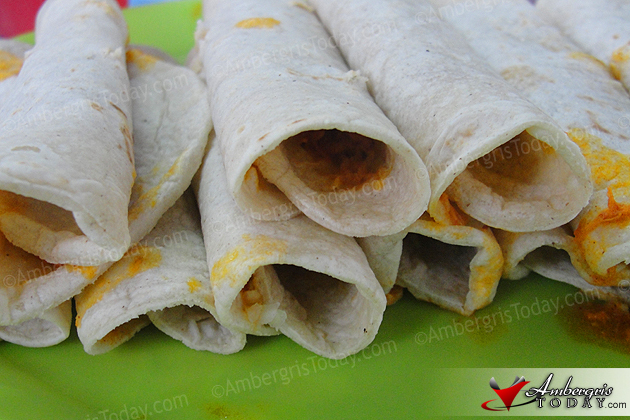 I have always heard that Orange Walk Town has the best tacos in Belize. 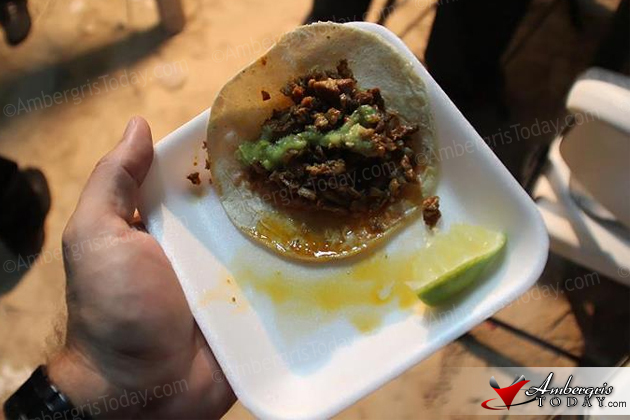 My friends rave about them, I keep seeing posts on Facebook about how great they are and everybody who makes their way through the town seems to make a mandatory stop for tacos! I, for one, had only heard about the delicious Orange Walk tacos until a few weeks ago when I had them for the first time. Needless to say, they were delicious. 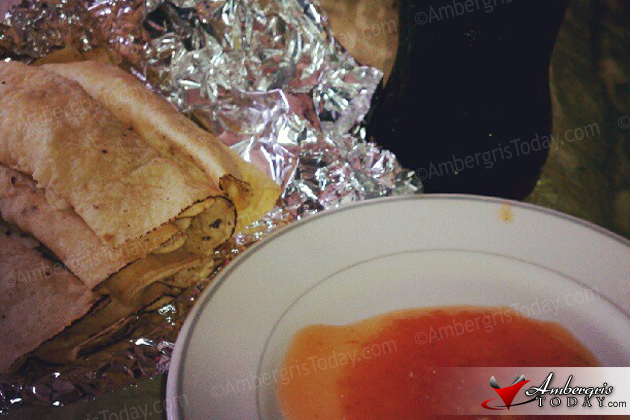 And Belizeans are also used to having tacos for breakfast. Yes! Some people cannot function without a morning order of $3 dollar tacos, much like those who crave their Johnny Cakes, Fry Jacks or flour tortillas. I had been hearing about Neri’s Tacos for ages here in San Pedro, but never managed to make it to the small taco shop which probably whips out over 1,000 tacos every day. 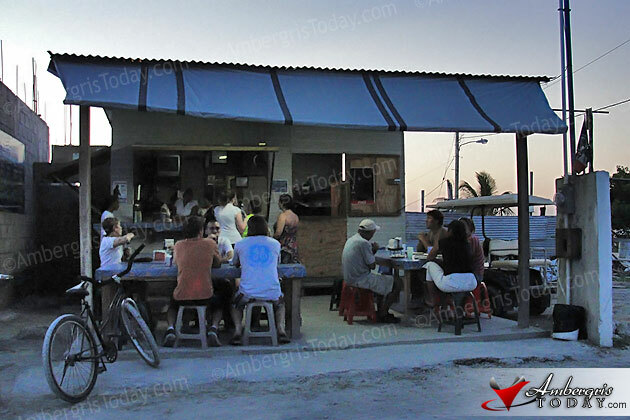 The small eatery gained so much popularity on the island that people waited in lines to get their favorite tacos for breakfast, lunch and dinner. Unfortunately a devastating fire burnt down their place about a year ago, but with much support from the community, they got back on their feet and opened back up. So after having compared the Orange Walk tacos from the one at Neri’s here in San Pedro, I think I can be bold enough to say that San Pedro can rival the town of OW for the best tacos in Belize. Don’t believe me, well you have to come and try them here to make your decision. For me, Nerie’s tacos were very good. Mind you, that the Belizean fast food tacos are not the same tacos you order in Mexico or fine restaurants that are mound high with ingredients. 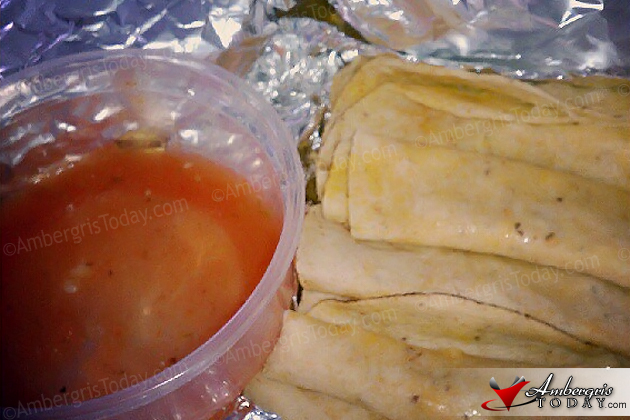 The basic fast food taco is made of a single corn tortilla with shredded stew chicken and an onion sauce (picadillo) inside. It’s rolled up and not too appealing on the eyes from the outside. But the taste is what has everybody craving for them. Each taco shop has its own flavored stew chicken which makes it stand out from one another. It’s the seasoning of the chicken and the way the onion sauce is prepared that makes all the difference. Two simple ingredients with the right seasonings are all what it takes to make a good fast food taco. I guess it’s each to his favorite taco stand. All I know now is that Belizeans like their tacos, probably as much as their rice and beans and fry jacks. I don’t think I will have them for breakfast as much, but they sure will do for lunch or a quick bite late afternoon/early evening.